Alzheimer’s is most widely known for its primary symptoms – difficulty retaining memories, trouble thinking clearly and changes in behavior. But researchers have long known that depression is also common in people with this form of dementia. 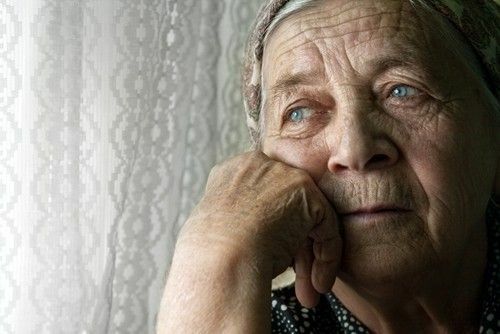 While the exact nature of the link between depression and dementia remains unclear, a new study brings researchers one step closer to discovering just how the two work together, suggesting that depression is a risk factor for Alzheimer’s. The science community has continued to uncover new illnesses associated to Alzheimer’s disease, and there has been much research into the link between depression and dementia. For example, a September 2011 study published in the Archives of General Psychiatry found that late-life depression is associated with an increased risk of dementia, but researchers noted that additional research was needed to figure out how this link works, specifically which direction the relationship moves – whether dementia spurs depression or if depression brings on dementia. A July 2014 study conducted by researchers at Rush University Medical Center delved into the relationship between dementia and Alzheimer’s. Published in the American Academy of Neurology publication, Neurology, it sought answers to the major questions surrounding the link between the two. For the eight-year study, researchers evaluated 1,764 people at an average age 77 with no cognitive issues at the beginning of the trial. They underwent yearly screening for depression and Alzheimer’s symptoms. At the end of the study, 315 people had developed dementia, and the scientists discovered that those who showed mild cognitive impairment (which is a precursor to the cognitive condition) were more likely to show signs of depression. However, depression symptoms did not worsen after diagnosis with Alzheimer’s. This led researchers to conclude that depression is a factor of the onset of Alzheimer’s rather than simply a symptom of it. “These findings are exciting because they suggest depression truly is a risk factor for dementia, and if we can target and prevent or treat depression and causes of stress we may have the potential to help people maintain their thinking and memory abilities into old age,” Wilson wrote in the study. Contact the Aegis Living community near you to help answer questions you may have about depression and dementia.